Interestingly, Chess Grandmaster Magnus Carlsen, was not really interested in the game of chess at the initial stage when he was being tutored by his dad. His only big passion in the game was to beat his big sister and on achieving that aim, he aspired to beat his dad. Obviously, his passion for the game didn’t stop there as it became a raging fire and today, Magnus has pride of place as a chess grandmaster and the youngest in history to achieve such feat. Apart from his stint as a chess guru, Magnus has explored other fields, especially in the entertainment industry. He has made appearances in several notable television shows as well as movies and has won several awards and accolades for his efforts. It would appear that his talent is endless because the chess prodigy also worked as a model in the past. Besides, he has acumen in business, his app – Play Magnus As is contributing a lot to his net worth. Magnus is of Norwegian nationality, born on the 30th of November 1990 in Tønsberg, Norway. His parents are both engineers, his dad Henrik Albert Carlsen is a competent IT consultant while his mum Sigrun Øen works as a chemical engineer. He was brought-up alongside three sisters – Signe Carlsen, Ingrid Carlsen, and Ellen Øen Carlsen. His formal education was achieved at the Norwegian College of Elite Sports, but he developed an aptitude for intellectual challenges at a very tender age, he was able to unravel 50-piece jigsaw puzzles at age two. 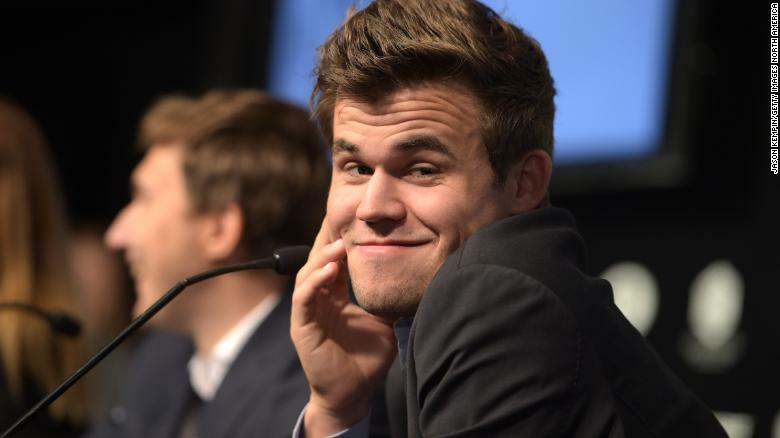 By the time he was four, Magnus Carlsen was already tackling Lego sets meant for kids of 10 – 14. At the age of five, he was tutored in the game of chess by his dad who is a keen amateur chess player. The emerging chess grandmaster developed his prowess by playing alone for long hours, searching out combinations by moving the pieces around and replaying all the games and positions he learned from his dad. Magnus also started consulting books on chess which greatly assisted him in building-up his game plan as well as his skills. Coupled with his exceptional memory, he soon evolved into a formidable chess player in spite of his tender age. His career as a professional chess player started at age 8 with his debut tournament in the youngest division of the 1999 Norwegian Chess Championship where he finished with a score of 6½/11. Between 2000 and 2002, the chess prodigy participated in over 300 rated tournaments, notable among them is the 2002 World U12 Chess Championship where he tied for the first position. That same year, Magnus Carlsen bagged the 2nd position at the boys’ under-12 division at the Fédération Internationale des Échecs (FIDE) World Youth Chess Championship, which took place in Iráklion, Greece. At age 13, he was at the Corus Chess Tournament where he earned the first place in the C group and a few months later, he earned the title of the grandmaster. He bagged the Norwegian Chess Championship at age 15 and finished joint first in the top group of Corus at the age of 17. His feat of surpassing the rating of 2800 in 2009 earned him the number one place in the FIDE world rankings of 2010, distinguishing him as the youngest in history to achieve such rare feat. In 2013, his defeat of Viswanathan Anand earned him the title of World Champion and the next year, he defended his title against Anand, winning World Blitz Championship as well as World Rapid Championship in 2014. With such rare achievements, Magnus Carlsen had the pride of place in the history of chess tournament as the first to hold the three titles simultaneously. He won both matches against Sergey Karjakin in 2016 and Fabiano Caruana in 2018, defending his main world title against both as he won in the rapid chess tie-breaks. Apart from active chess competitions, the chess prodigy has set up a company known as Play Magnus As. The company is charged with the responsibility of producing chess app to aid beginners in the mastery of the game. The app is also suitable for players who are experienced to sharpen their skills. We don’t have any records of his past relationships but presently, the chess grandmaster is in a romantic relationship with Synne Cristian Larsen. They hooked up on Valentine’s day of 2017 and have been inseparable since. A reliable source has pegged Magnus’ net worth at a well-deserved $8 million which he earned mainly from his chess tournaments. His stint as a model and actor may also be responsible for one or two digits in his total earnings. There is also his app company which is also a money-making venture for the chess prodigy. Although the details of his other body statistics are not known, it is on record that Magnus Carlsen stands at a height of 1.6 m. The Cosmopolitan named him one of the “sexiest men of 2013”. He follows a vegetarian diet.